grilling fish around this location just waiting for the fishermen return from the sea, especially in the morning. 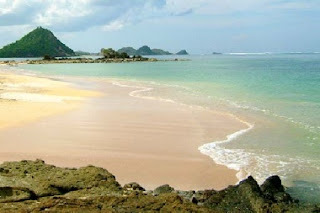 Not far from the coast, there are Mawi beach with big waves suitable for surfing. Mawi beach is also very nice to swim around the coast and there are bungalows, restaurant and tourism security posts.